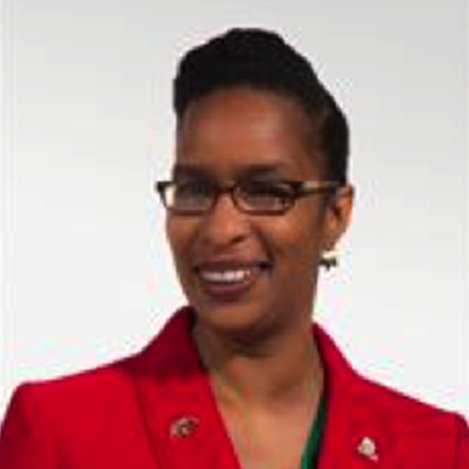 OUSD School Board Vice President Jumoke Hinton-Hodge is a community and youth development consultant who has worked in the Bay Area for the last two decades. For the past seven years, she has devoted her efforts to strengthening her West Oakland neighborhood. Hinton-Hodge is the co-founder of the Parent Leadership and Engagement Academy Initiative (PLEA), a community-building project dedicated to the education and support of West Oakland parents and families. PLEA is dedicated to creating meaningful and powerful collaboration among parents of all West Oakland schools, a goal that is also served by the West Oakland Education Task Force (WOTEF). As a WOTEF leader, Hinton-Hodge has partnered with the school district, individual school sites, community based organizations and small businesses to improve West Oakland schools and support parent leaders in the development of school-specific student advocacy organizations. She has worked extensively with low-income youth and students identified as severely emotionally disturbed, and has also provided gender specific services to urban girls. She has supported the development of arts based programming, facilitated parent and family community organizing trainings and participated on design teams developing small schools within the Oakland Unified School District. She holds a BA in Black Studies and English from Oberlin College.